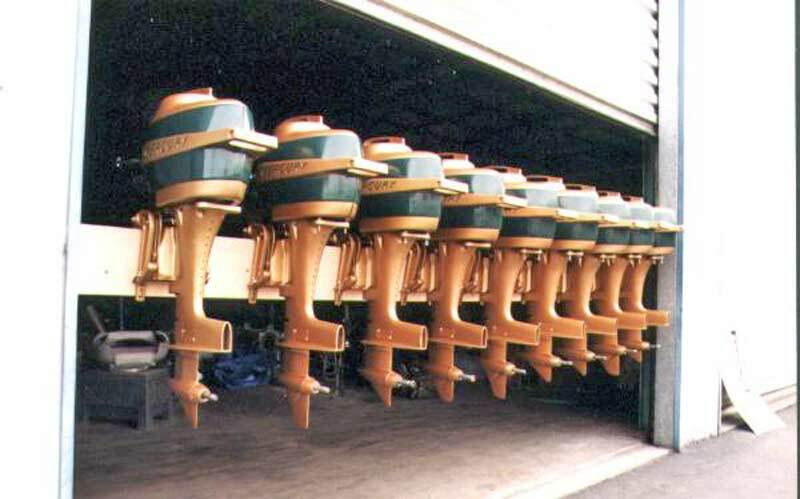 Do you have an older outboard? Get the feeling that somebody has left you out in the cold? Well, don't despair! MASTERTECH is the place to find expert service information on your older motor, and help in locating the parts you need to keep it in top shape. I grew up with the fun of boating on small lakes in outboard boats, and I know lots of folks still enjoy using the old family outfit on summer weekends. Not to mention the renewed interest in earlier, simpler mechanical things, both from a practical and nostalgic point of view. As a veteran of over 45 years dealing in marine product, I have determined that the boating "industry" has lost sight of one very important fact, that is PEOPLE DON'T NEED BOATS! They would like to have one, but it is not a necessity. But the MBA's in marketing have attempted to create megadealers to football out new boats just like the auto dealer down the street. This has created a number of interesting, and fatal problems for the manufacturers. First, boating is a seasonal business, even in warm climates. This creates a period of time that the dealer operates at an apparent loss, so they cut back on staff, and lay off techs for the duration. The tech then is probably going to look elsewhere for a steady job. Thus, most dealership techs are seriously inexperienced in servicing. Many of them weren't even born when your boat was new! Second, all these large dealerships are sales oriented - - they have to be in order to achieve the quantity discounts and volume deals required to make selling product profitable in the competitive marketplace. Their service shops are primarily set up to take care of rigging, pre-delivery and warranty. I know of one large Northwest mega-dealership that will not even consider servicing any boat over 3 model years old! Under these circumstances do you think they are going to be interested in taking care of your 1978, 85 HP that needs a tune-up, water pump, gear case reseal and has an intermittent miss? Lastly, drive down price, you eventually drive down quality. OMC found this out the hard way when they tried to outsource everything. Cost them their entire operation. A lot of today's newer boating product is not up to the standards it should be. 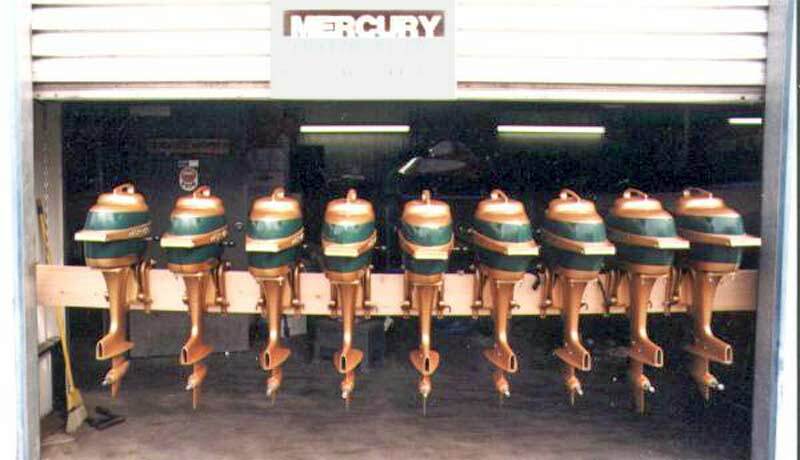 Some current outboards are almost a throwaway product, difficult to diagnose, repair and obtain parts thereto. Imported engine parts are difficult to obtain and expensive. The motor manufacturers refuse to cooperate in any significant way with independent service shops. Boat manufacturers come and go. Package units are offered with poor compromises for power in order to sell for less. As the old saying goes "You buy cheap, you get cheap"! If you've read this far - - here's the point. There is a growing group of us who have spent our lives as marine dealers that disagree with all this hype and BS currently spouting from the megamarketers. Our commitment is to YOU, the customer, not the corporate stockholders. I have a commitment to service, not to sales. It takes a certain mentality to be a good salesman, and I for one don't like that sort of pressure atmosphere. Those large selling dealers? In most cases I feel sorry for them. They could sell out, get a better paying job in the IT industry, and sleep at night. You thought I was kidding about all those restored B Mercs? Well, here's photographic proof that they exist. And there's a thumper and one more totally original one not in the photo. Look close at these, this is NOT a trick photo. Some have short skegs, some long. Some have steering bar bolts, some don't. These thumbnails are links to bigger scans, so place your mouse over 'em to see the real picture. For those of you who haven't a clue. This motor was developed by Mercury in 1954 as a replacement for the KG-7H "Hurricane" as the competition was fierce in class "B" racing, and they were getting beat! It has a similar cranktrain to the Mark 25 service model introduced in 1955. However it used unique components for most of the powerhead parts, not shared with the MK25. Originally equipped with a Carter model "N" carburetor. There has been a renaissance of the old "B" class runabouts using these 20H motors as well as the other contemporary models of the 50's. Under APBA rules, boats and motors must comply with the rules then in effect. CREDIT must go to Charlie Williams of Performax Marine in Puyallup, WA for spending the time and effort to restore all these to as close to original as possible. He can be contacted at OUTBOARDRACING.COM. The rules for "Classic B" may be found there as well.